-We'd have to start off with this underrated gem. This wasn't the first match between the two, but I'd say it was the best the two ever had. I watched this on DailyMotion the other day once again and was impressed even some 20 plus years later. A true classic. -The battle between Steamboat and Rude went 30 minutes, and saw a number of falls. 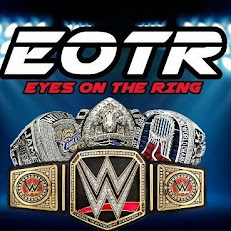 It was top billing as far as the main events went and the match lived up to and exceeded the hype. Steamboat won this match and walked out of this with more momentum. -I love this match, though it's a strange one in the same vein. 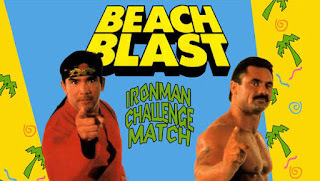 It was due to be a No Disqualification match, but Luger insisted it have DQ and count out and in this, we saw Steamboat snap and get disqualified around the 11 minute mark. The minutes before that however were truly classic and some of the best work for Luger in his career, a great feat for Steamboat. For that alone, this deserves a spot on the honorable mention list. -There is no doubt about it. 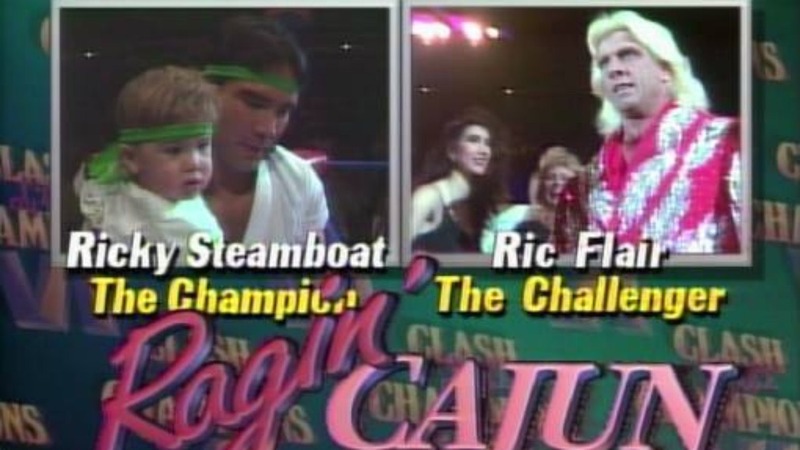 Steamboat and Flair have the greatest trilogy in wrestling history. This match is a classic and is still somehow the lowest rated of the three matches, but it's one of Steamboat's best without a doubt. In a match with Lou Thesz, Terry Funk, and Pat O' Connor as guest judges, we saw Flair get the best of Steamboat in a 30 plus minute classic. -Austin and Steamboat is the most underrated rivalry in the history of the WCW in my opinion. The matches they had were classic and this was their best. A 20 minute epic battle that had the stipulation that if Austin got DQed, he would lose the US title. He did lose, but at the hands of Steamboat and not the stipulation. It was a great contest that doesn't get enough credit. -Nearly one hour. 56 minutes to be exact. Two out of three falls. Steamboat and Flair put on an absolute classic that saw Steamboat get a controversial victory that would lead to their WrestleWar showdown mentioned at no. 5. Flair won the first fall, and Steamboat won the final two, and this match is a truly special display of both men's talent. -If this was WWE only, this would easily be no. 1 on the list. Savage and Steamboat have such great chemistry and this is the best match the two have had and both of them created a match that would stand the test of time. This match was the influential match for the generation that came after, as agile, fast, and high flying performers (for the era) found the blueprint here. 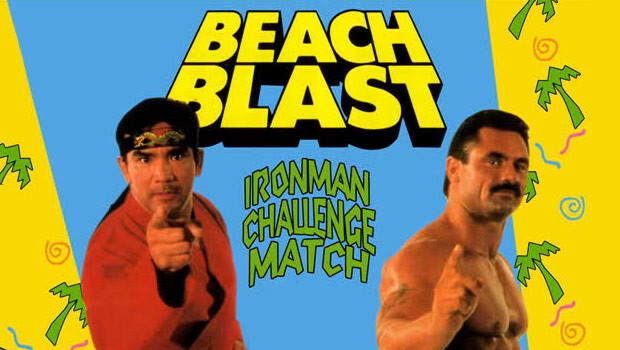 Steamboat picks up the victory in this all time classic. -The shortest match and first match of their trilogy is the best still. 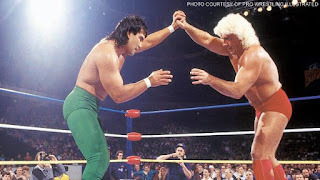 In about 23 minutes, Flair and Steamboat went out and put on a classic show within time constraints, as Steamboat got a victory to win the title from Flair. It would be the best match between the two and the greatest match of Steamboat's career hands down.